Premium Craft Beer to share with your quality friends. Created in 2001, ManyFriends was founded with the idea of bringing people together to interact in safe, fun, and typically playful ways. It occurred to us that there’s not much better way to have that sort of interaction than sharing a good beer with great friends. Hence, we set out to make good, solid beers and distribute them to local beereries that foster a sense of camaraderie and community. 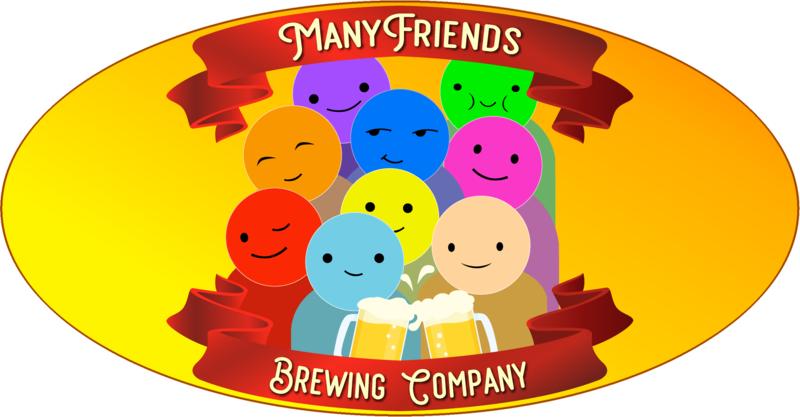 So, in September of 2017, the idea for ManyFriends Brewing Company was officially hatched* and, in July of 2018, we became a licensed Small Beer Manufacturer (“type-23”). We’re also very much into improving the environment, and giving a hand-up to kids who don’t have the kind of opportunities that we had growing up. So a percentage of our gross goes toward forwarding those causes.